It’s that time again! Time to check out what deals we can score at Stop & Shop beginning Friday, 05/19 with their new gas reward offers! This week we have 3 gas reward promotions. The first deal is buy 5 participating products and earn 400 gas reward points, which is equal to $8.00 ($0.40 off per gallon, up to 20 gallons of gas). There are always many different deal ideas you can work with gas reward deals depending on what you want, need and have coupons for. 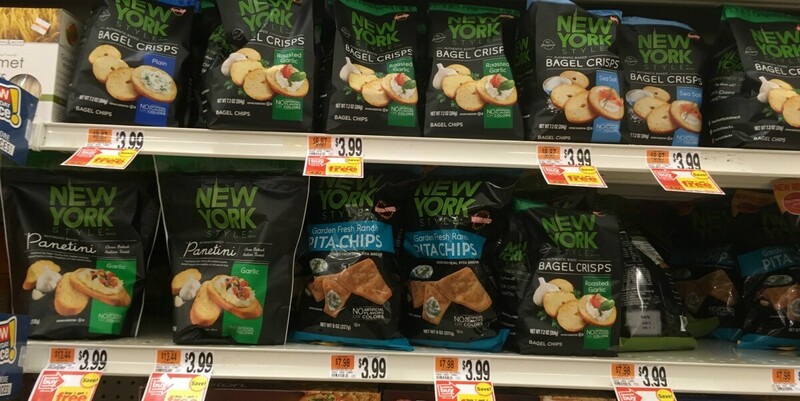 For the “Buy 5 Get 400 Gas Rewards” offer the best deal I’m seeing to pick up the 4 of the NY Style Chips priced at $2.50 each, and 1 of the Lance Crackers priced at $2.50 each. 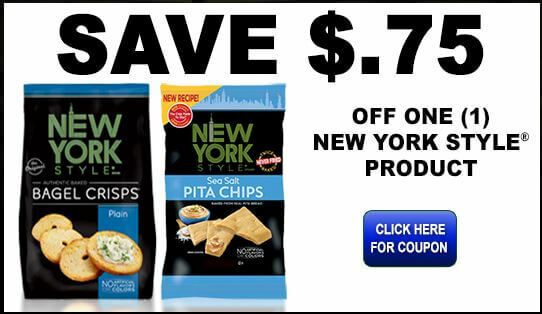 We have a $0.75/1 New York Style Product, printable coupon available, we also have a Regional $1/1 Lance Sandwich Cracker, coupon available from the 4/2 Smart Source. We’ll receive 400 Gas Rewards. Assuming you can fill up with the full 20 gallons of gas you can score all 5 items for as much as a $2.50 Money Maker! You can swap each brand for what you need and the coupons you have on hand. For the Second Gas rewards section, we have a Buy 6 Get 400 Gas Rewards Points Offer. For this deal we’ll pick up 4 of the Lance Crackers 8.25-11oz, priced at $2.50 each, and 2 of the Pampers Wipes priced at $1.99 each. We have that Regional $1/1 Lance Sandwich Cracker, from the 4/2 Smart Source Available. Assuming you can fill up with the full 20 gallons of gas you’ll score all of these items for as low as $0.33 each after gas rewards! The third Gas Rewards deal we have this week is for 5x Gas Rewards on Select Gift Cards! It’s a 5x Gas Rewards Deal and is running 5/19-5/25. You can purchase $500 in Participating Gift Cards and earn 5 times gas points on this purchase. 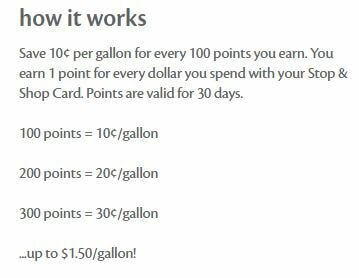 You earn 1 point for each dollar you spend at Stop & Shop, so if you bought $500 of these Cards during this promotion, you will earn 2500 gas points, which is equivalent to $2.50 off a gallon of gas at participating Shell Gas Stations. You can fill up with UP TO 20 gallons of gas using your gas points. If you buy $500 in Gift Cards you will have earned $2.50 off of 20 gallons of gas, which is equivalent to $50.00 in savings. So to summarize, with 2500 gas points (which you will earn for buying $500 in participating products) you can get UP to $50.00 in FREE gas, spread across 3 fill ups. **2500 gas points gets you $2.50 off per gallon up to 20 gallons which is equal to $50.00 in gas.